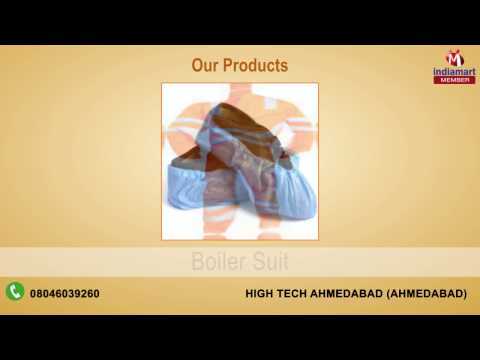 Established in the year 2013, we, "HIGH TECH AHMEDABAD" are amongst the leading manufacturers, suppliers and traders of a vast array of Industrial Safety Products. Extending our range of products, we provide our clients with Disposable Safety Products, Foot Protection Shoes and Gumboots. We manufacture our products using high grade raw materials and our robust manufacturing facility helps to accomplish it. To ensure best quality produce to our clients, we supervise them on the basis of various parameters like efficiency, quality and reliability. We have always aimed at acquiring cent percent client contentment which has been fulfilled with our conformity with industry quality standards and competitive prices. Our penchant for ensuring timely delivery and customer satisfaction helps us win the trust of many clients.